A pilot's view for Edwards Air Force Base, Calif.—main base area—located beside Rogers Dry Lake. 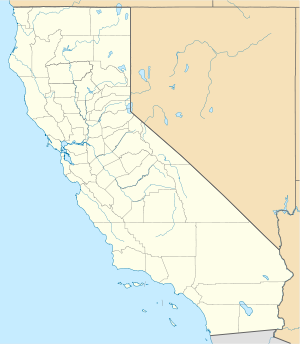 Edwards Air Force Base (IATA: EDW, ICAO: KEDW, FAA LID: EDW) is a United States Air Force base located on the border of Kern County, Los Angeles County, and San Bernardino County, California, in the Antelope Valley. It is 6 nautical miles (11 km; 6.9 mi) southwest of the central business district of North Edwards, California and 7 miles (11 km) due east of Rosamond.